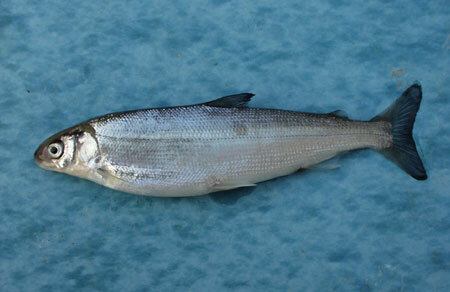 Anadromous Atlantic whitefish were believed to inhabit coastal waters during the summer months. Evidence suggests that they fed on amphipods, small periwinkles and marine worms. Land-locked populations occur in three lakes within Petite Riviere. Since they prefer cool water, they are rare or absent in surface waters during the summer months. During the spring and fall they feed on small fish and invertebrates. Spawning times in the wild are unknown, but in captivity, Atlantic whitefish spawn from mid-November to early January. 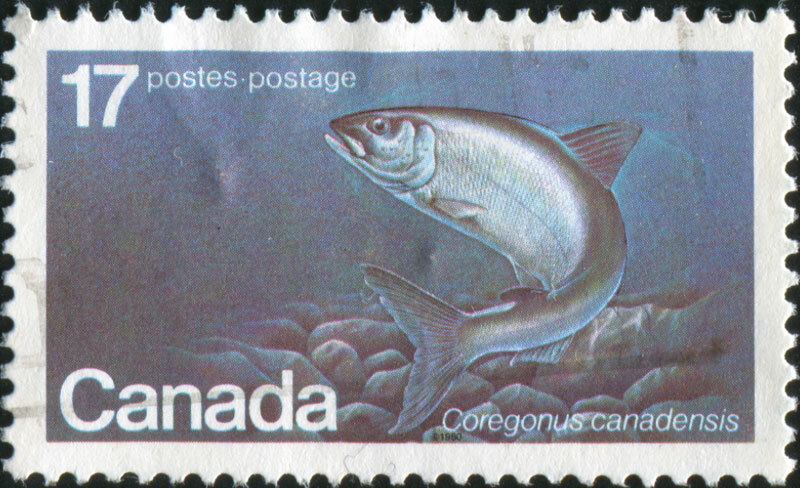 Unique to Canada, Atlantic whitefish have been reported only in the Tusket River and Petite Riviere watersheds in southern Nova Scotia. Sadly, the Tusket River population has been extirpated. The Petite Riviere population may, in fact, represent the last remaining Atlantic whitefish in the world. The exact size of the remaining population is not known. The damming of the Tusket River in 1929 interfered with the migratory movement of the Atlantic whitefish for many years and may have been a factor in the extirpation of the river’s anadromous population. Also, rising acidity in some portions of the river may have negatively affected their reproductive success. A lack of fish passage between the sea and the lakes in Petite Riviere may be a factor in the decline of the anadromous population in the area. Non-native fish in the Petite Riviere watershed, such as the smallmouth bass have been illegally introduced and may pose a significant threat to the last remaining population of Atlantic whitefish. Poaching and recreational fishing (the fish is often mistaken for lake whitefish) were also believed to have also contributed to the species’ decline in the past. The Nova Scotia Fishery Regulations under the federal Fisheries Act have prohibited the taking of Atlantic whitefish from all waters of the province since 1970. The fish’s habitat is also protected. assessment of habitat requirements to assist with protection of the remaining populations and to plan for eventual re-introduction; evaluation of the genetic health of the remaining populations; and, review the threats posed by invasive smallmouth bass and chain pickerel on the survival and recovery of Atlantic whitefish. Atlantic whitefish will get the protection they need only if all Canadians work together to reduce threats. 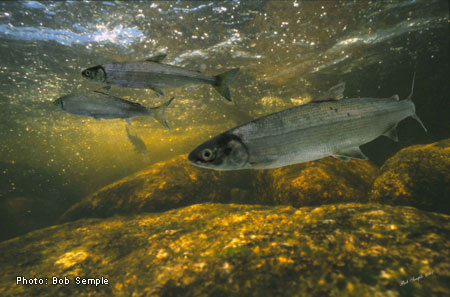 Find out more about Atlantic whitefish, take active steps to protect their habitat, and get involved with the Habitat Stewardship Program for Species at Risk (HSP) or another conservation organization. The Nova Scotia government is involved with many projects and programs to conserve Atlantic whitefish. The Adopt-a-River program, for example, helps Nova Scotians to rebuild, enrich and maintain local water environments.